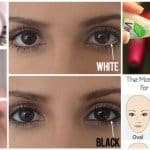 Hey girls if you have start with preparation of your look for the prom than these articles will be useful for all of you. 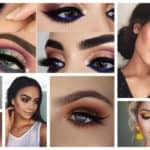 We are always here to share with you the most impressive ideas and tips that will enhance your makeup routine. So if you pick up your hairstyle idea, if you pick up your dress than it is time for makeup. VICTORIA MOORHOUSE from stylecaster.com has colelcted a few must know tips that will help you a lot. 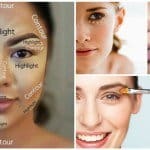 To give you an idea of how you can highlight your facial features using makeup for prom night, they have consulted with celebrity makeup artist Carissa Ferreri, who’s worked with stars like Gina Rodriguez and Bailee Madison. 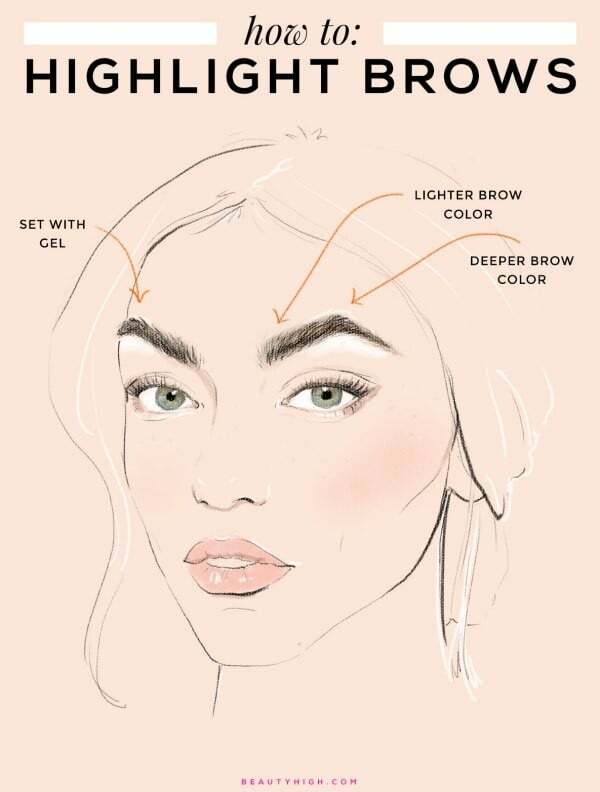 She gave us the lowdown on tips that will help you to create four individual looks that flatter your brows, lips, eyes, and cheekbones. Check out the illustrations, along with a few amazing advice, below and for more check out the source link. 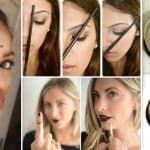 You can go with simple makeup or a bolder look—Ferreri says your brows can handle either—but to make sure you’re brushing them through as not to take on a “stencil” look. 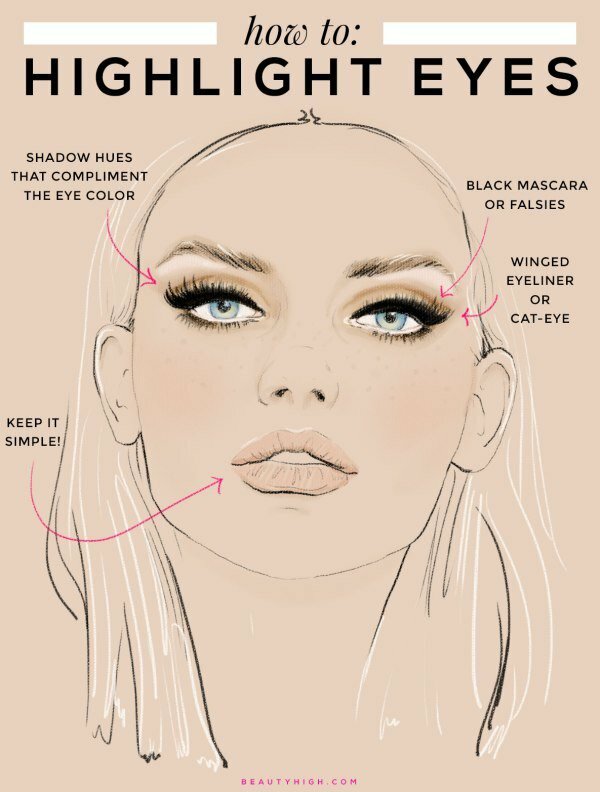 To create the most natural look, grab two different colors for your brows, whether that’s taupe or brown. On the inside of the brow closest to your face, Ferreri says to apply the lighter brown color. The darker shade should be used to highlight the arch and you should set the entire look with gel to keep it in place. That winged liner, whether it’s colored or a classic black, will help make your eyes appear bigger and longer, explains our expert. Another great way to make sure you’re highlighting your eyes is to pick colors for shadow that help make them really pop. “Blue eyes look amazing with bronze colors, oranges, and warm browns. Green eyes should try plums, greys, and cool browns. Brown eyes can play around with navy, warm colors, and earth tones,” she explains. 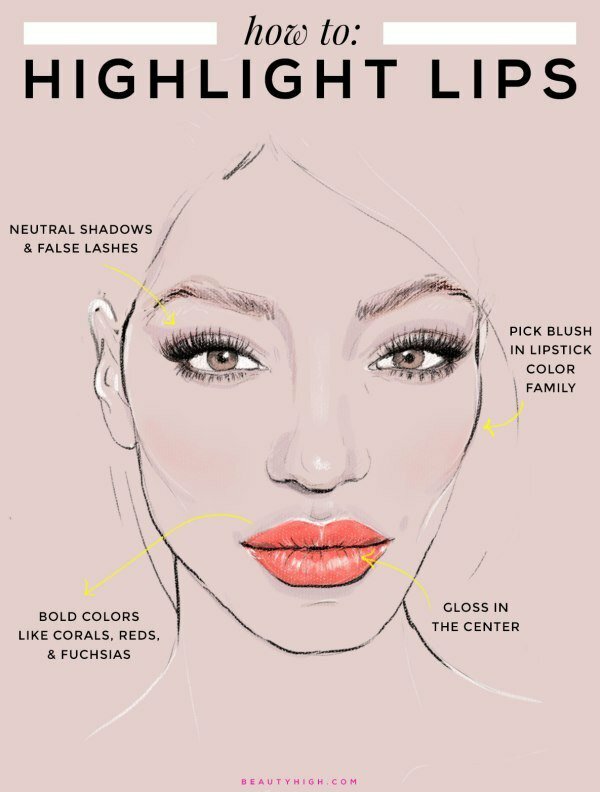 Coordinate your cheek color to your lip color. “Choose a blush in the same color family as your lipstick. If you’re wearing a bright pink lipstick, opt for a soft pink blush. If you are wearing a coral lip, choose an apricot flush on the cheeks. Red lips? I like to go neutral on the cheek color with emphasis on the cheek bones,” states our expert. Prep your lips for lipstick before the big event by exfoliating and moisturizing. “It’s very easy to make a homemade lip scrub using sugar and coconut oil,” says Ferreri. Prevent smudging by using a lip liner and filling in the entire lip before adding in the color. The best way to highlight your cheekbones is by shading in the hallows of your cheeks using a matte bronzer or contour palette with a grey undertone,” says Ferreri. She says this works for most light to medium skin tones. The next step is blush, which she says you should buff in, along with shimmer, on the apples of your cheeks. “This will create a ‘glow’ and give the face dimension,” she explains.